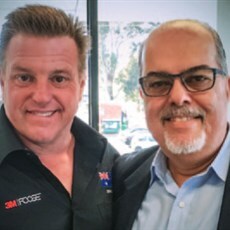 With the help of Chip Foose, 3M’s ANZ Automotive Aftermarket Division (AAD) has launched a new training centre in Blacktown, NSW Australia, giving the next generation of car enthusiasts the opportunity to expand their skills in the trade. 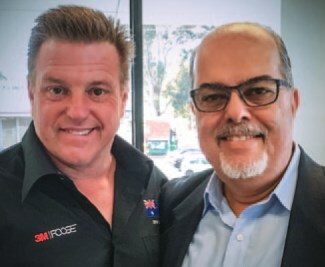 The face of the industry, Chip Foose, 3M AAD’s Global Brand Ambassador, legendary owner and chief designer at Foose Design and star of television series Overhaulin’, flew all the way to Sydney to support the opening of the centre. The automotive industry is suffering a skills shortage, and with the youth unemployment rate in the Blacktown region at 6.4 percent, the $2 million training centre will not only help tradies, students and apprentices to expand their skills and employment prospects but will also assist in igniting interest amongst potential new talent. The Training Centre will initially be able to take 300 students per year, with a view to growing this number. Students are able to gain hands-on experience in panel beating, spray painting and detailing. In addition to skills related to the automotive industry, the Training Centre can also cater for those who are seeking skills in the manufacturing, construction and commercial markets.